To come up with the best DIY blogs to follow, we examined tons of do-it-yourselfers with different skill sets and backgrounds. It was important to us that the chosen bloggers are creative, consistent, and stand apart from the competition in one way or another. Being a full-time blogger isn't easy, so we give these sites a lot of credit for continually producing quality DIY projects for their readers. Make sure you check them out and figure out which will be added to your daily rotation. If you've always been obsessed with stickers and stationery, you'll love this DIY blog run by Amber. Her colorful crafting aesthetic is cheerful and doesn't take itself too seriously. Hop on over to this site if you are in the mood to tackle some paper crafts, are looking to download some free printables, or want to learn how to use a Cricut cutting machine. Cassity from Remodelaholic is dedicated to DIY at its finest. Not only does she share what she's working on at home, but she also accepts post contributions from the community. This collaboration ensures there's always fresh DIY content on the site. The site's main focus revolves around DIY home renovation and decor. What's especially nice about Remodelaholic's furniture DIY projects is that they include free project plans that are very easy to follow. Chelsea from Lovely Indeed founded this DIY and lifestyle blog in 2010. Though you'll find many craft posts on this site, you'll also find some travel and lifestyle content mixed in. One particularly fun part of the Lovely Indeed blog is their DIY Games section. Learn how to make a personalized version of anything from Chinese Checkers to Tangrams. If you like modern DIY projects, you're in good hands on the Paper & Stitch blog. Brittni founded this DIY blog back in 2008 and quit her job as a high school art teacher to do so. The site is packed with multiple DIY projects from various contributors, all under Brittni's artistic direction. The modern style and clean lines remain constant throughout each design project. C.R.A.F.T. stands for Creating Really Awesome Fun Things, and that's precisely what this DIY blog does on a regular basis. Jamie, the head creator, runs this blog from her home in Austin, TX. Not only does this site bring you back to some crafting basics, but it also offers up some entertaining craft ideas to do with kids. If you plan on hosting a party or entertaining guests anytime soon, head on over to this party-themed DIY blog. The site's mission? To be the best party resource on the internet. However, the team that runs this site wants you to remember that there's something to celebrate in every day. On top of festive DIY party decorations and ideas, you can also find some home design DIY projects and recipes as well. Erica Domesek has grown this DIY blog into a major lifestyle brand over the past decade. She encourages her readers to craft the life they want, whether that be through a hair scrunchie tutorial or updating a pair of sandals. The great thing about this fashion-focused blog is that every tutorial has very clear, straightforward pictures that are easy to follow. They are starting to create a lot more video content for their DIY projects, so be on the lookout. Francesca from Fall for DIY wants to inspire her readers with accessible and affordable DIYs that can transform a space. Her degree in textile design helps her keep all the projects very attractive and on trend. Follow this full-time blogger as she dreams up new home design projects daily. Although most projects are home decor related, you can also find some recipes, fashion accessory projects, and some free printables. Old home enthusiasts take note of this blog run by Mandi. This site goes in-depth about home design and what it takes to renovate a home both emotionally and physically. Each project will take you through the hits, misses, and fails of a do-it-yourselfer. Take some time to sort through some of their most popular repurposing projects to get inspired. Each room reveal is better than the last. What started as a one-person lifestyle blog has blossomed into a team of like-minded crafters. If you have a craft room in your home filled with glue guns, a sewing machine, and other craft necessities, head on over to Lia Griffith for tons of ideas. This blog invites readers to join their community for access to a vast library of printables, patterns, and other craft resources. If membership isn't for you, there are still tons of free blog tutorials to try out ranging from seasonal decor to party favors. Caitlin and Manda run this inspired DIY blog centered around natural and affordable materials. Though the blog is mostly do-it-yourself based, you'll also find some lifestyle posts mixed in. If you appreciate unstained wood, clean lines, and modern decor, you'll find a home project worth attempting here. One of their most popular projects is an outdoor swing bed made from an old pallet. Jan and Earl are the founders of this creative studio and have been sharing content on the internet for over thirteen years. 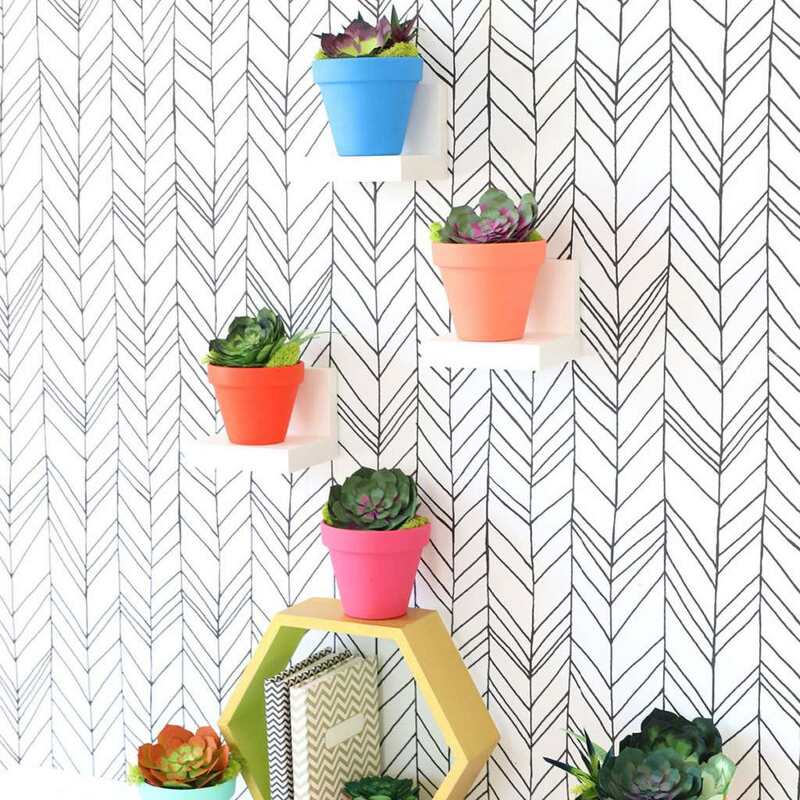 This blog is as hip as it is stylish and is packed with so many DIYs from various genres. The site is filled with original DIY's as well as a bunch of round-ups. Stop by if you're looking for Ikea hacks, glamping projects, or other DIY crafts in over a dozen categories. Sometimes it can feel like men are left out of the DIY blogging world, but that isn't the case with HomeMade Modern. Ben is the inventive founder who focuses on creating modern home goods that are both easy to make and sustainable. Each DIY project has a clear list of tools and supplies needed as well as crisp photos and instructions to follow. Most posts also include an accompanying YouTube video.